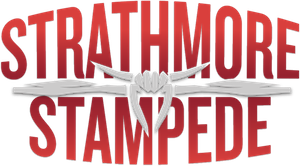 Welcome to the Online Sales site of the Strathmore Stampede. From here you can select your seat and get your tickets to all our events and performances, including Pro Rodeo and Professional Chuckwagon Races. NO REFUNDS, RAIN CHECKS OR EXCHANGES will be granted for events cancelled due to weather. DAY OF RESERVED & RUSH TICKETS ARE AVAILABLE AT THE ONSITE BOX OFFICE IN THE REMUDA CENTRE.